Providing individualized healthcare since 2004, Good Health Acupuncture is an Oriental Medical practice offering acupuncture, Chinese herbal therapy, nutritional counseling and, above all, hope. Our goal is always the same: To improve your quality of life. We view your journey to wellness as a collaborative effort, one that fuses Traditional Chinese and Japanese Medicine with a self-discovery of the underlying causes of your condition. Symptom relief comes through the proven treatments we provide, as well as with the tools, knowledge and support you receive…this sets the foundation for true healing and restoration. 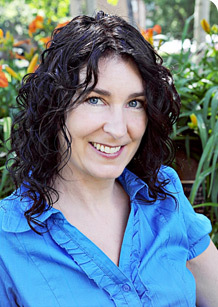 Ann-Marie Yeager is a nationally certified acupuncturist holding a Diplomate of Oriental Medicine (includes acupuncture and Chinese herbs) from the National Commission for the Certification of Acupuncture and Oriental Medicine (NCCAOM).